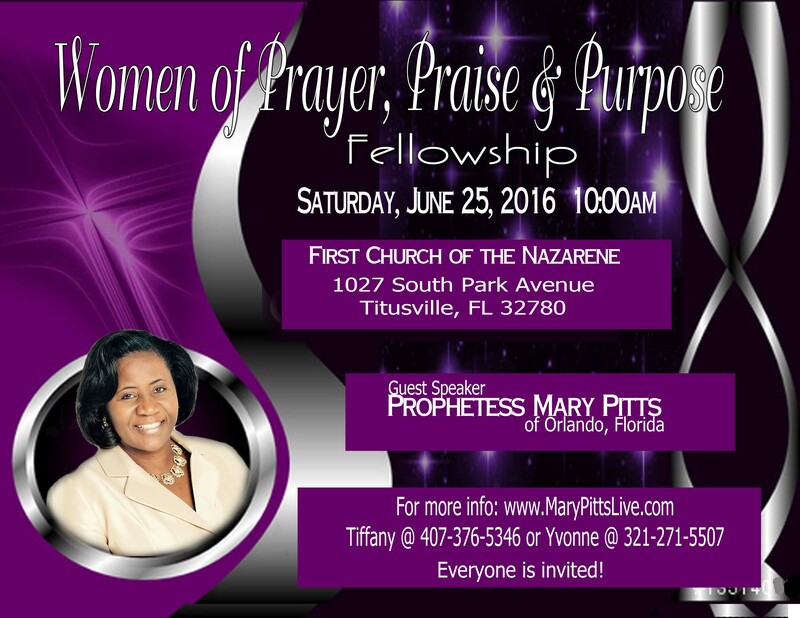 Mary Pitts is an exciting, vivacious and upbeat speaker that prompts and propels her listeners to action. You will be blessed as you experience a truly exceptional gift of God filled with excitement and motivation. Make plans to be there! ​No Registration Fee. Continental Breakfast will be served. RSVP Here.